After being consistently snubbed for national selection, fast bowler Lasith Malinga this week hinted at retirement from international cricket to build a career in mentoring. It is not that he wants to end his international playing career before the 2019 World Cup. It is just that the prospect of a return seems a distant dream. With 492 international wickets across all three formats, Malinga last played for Sri Lanka in September 2017 against India, at home. Even though Sri Lanka played two more series later that year, with Pakistan and India, he did not find a place in the final squad. And not only was he kept out of the final squad of 16 that left for Bangladesh in mid-January for the tri-series, he wasn’t among the 23 players initially picked for the tour–a clear indication of what awaits who was once a most feared and successful limited-over bowler for Sri Lanka. At 34, Malinga claims he has no long-term goals in cricket but that he is happy to provide his services up to the 2019 World Cup in England. But it does not seem like he will be part of Sri Lanka’s World Cup campaign. “I believe in teaching by examples. I can get into the field and show how to bowl a yorker. This is important. I think if I cannot contribute as a player, I will definitely look at this option going into the World Cup,” he said adding that he has been in discussions with few interested parties at present. A master of the killer inswinging yorker that terrified even the most technically sound batsmen in the world, Malinga owns four limited-over hat-tricks for Sri Lanka, including a rear four wickets in four balls against South Africa at the 2007 World Cup. He was arguably Sri Lanka’s most influential bowler during the country’s excellent run in global tournaments from 2007 to 2014. Since returning to the side after a knee-surgery, however, his form has been patchy. In 2017, Malinga took 12 wickets in six T20Is and 10 wickets in 13 ODIs. There were 12 missed catches off his ODI bowling that do not show up in his final tally. He is currently the second highest wicket taker in T20 cricket with 331 wickets, second only to DJ Bravo who has 409 wickets under his belt. He was also one of the Mumbai Indians’ most iconic players in the Indian Premier League (IPL) for ten years since 2007, before he was released for the auction this year. Although Dinesh Chandimal was the designated skipper of the national side for the 2014 T-20 World Cup, Malinga led the side during the knock-out stages when the team management decided to drop Chandimal over poor form. And while he did not play international cricket since his last appearance for Sri Lanka in September 2017, Malinga has kept himself busy. He was in the Bangladesh Premier League (BPL) last year. He also played a three-day match for his domestic club NCC and has regularly practised in the hope of a call-up. Malinga is by far the most successful bowler in IPL history–be it with his wicket-taking abilities or his death-overs bowling. But he was off-colour in the 2017 season. He picked up just 11 wickets from 12 matches, conceding at an expensive 8.84 runs per over. This may have prompted Mumbai Indians to release him to the player auction for the first time in 10 years. 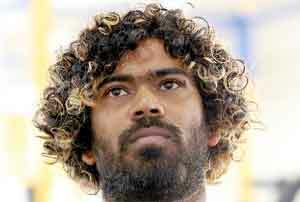 Malinga also insisted that he never compromised on his Sri Lankan commitments owing to his franchise work, as it is alleged in some quarters. Hathurusingha – messiah or scapegoat? School Cricket – Dead and Buried! Who can say what is right in Cricket?